Reservoir engineering is the design and evaluation of field development and exploitation processes and programs. This topic encompasses the field of geology, drilling and completion, production engineering and reserves and evaluation. 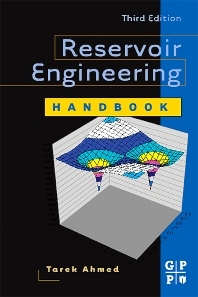 This book details essential information as well as insight and is a comprehensive up-to-date reference tool for the reservoir engineers, petroleum engineers and engineering students alike. Acting as a guide to predicting oil reservoir performance this edition analyses through the analysis of oil recovery mechanisms and performance calculations, and spells out the fundamentals of reservoir engineering and their application through a comprehensive field study. Several examples from a wide variety of applications demonstrate the performance of processes under forceful conditions. Key relationships among the different operating variables are also thoroughly described. consulting firm that specializes in in-house petroleum engineering courses and consulting services worldwide. Prior to that, he was a Reservoir Engineering Advisor for Anadarko, Baker Hughes, and Gaffney, Cline and Associates and was a Professor and head of the Petroleum Engineering Department at Montana Tech of the University of Montana for 22 years. Dr. Ahmed has authored numerous papers and several successful books with Elsevier, including Advanced Reservoir Management and Engineering, 2nd Edition. Consultant, Tarek Ahmed and Associates, Ltd.